Jewell L. Bailey (nee: Lilly), 84 of Lorain, Ohio peacefully went home to be with the Lord on Tuesday, February 5, 2019. She was born on June 29, 1934 in Ellison Ridge, West Virginia to the late Maude Emma (nee: Pack) and Oliver Esker Lilly. When Ms Bailey was twenty years old, she moved to Huntley, Virginia. She married Harry Bailey; they moved to Lorain in June of 1956. Ms Bailey will be remembered as a resilient, strong and independent woman who was always trying to help people in need. She loved gospel and bluegrass music. Ms Bailey had a passion for reading the Bible. Her daughter’s favorite memories of mom were of the times that she took them to the many local parks and play grounds, including Cascade and French Creek to play and enjoy exploring nature. She is survived by her daughters, Beverly (Sammy) Keathley of Oberlin, Ohio, Anita (Bill) Ryan of Wellington, Rhenda (Tom) Miller of Parma, Ohio, Debra (Sammy) Velez of Lorain, Wanda Lattimore of Copley, Ohio and Kathy Jo (Arthur) McGuire of Amherst, Ohio, brothers, Floyd (Betty) Lilly and Donald (Renda) Lilly, sisters, Macie (Dewey) Welch and Frances Palmer, thirteen grandchildren and fifteen (with two expected) great grandchildren who she cherished. 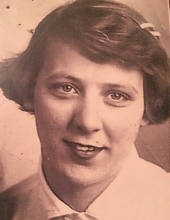 In addition to her parents, Ms Bailey was preceded in death by her daughter, Brenda Jo who died at birth, her brothers, Archie (Dorothy) Lilly and Junior Lilly and sister, Leta (Bill) North. She will be dearly missed by her loved ones who celebrate the fact that she is at peace with her creator. The family will continue to celebrate her life after a private service at one of the daughter’s home. The family respectfully declines flowers and donations; but prayers will be appreciated. ‘Until we meet again.’ The Walter A. Frey Funeral Home is lovingly entrusted with the arrangements. Online condolences may be sent to https://na01.safelinks.protection.outlook.com/?url=www.freyfuneralhome.com&data=02%7C01%7C%7C40773fc2ccf34998782a08d68d357797%7C909a3935ee4744b99ecc48ae0dde26e8%7C0%7C1%7C636851658140494134&sdata=TJ1XKqLgNTE0xvRj3GwXs3kR%2BtDWCA%2Fkb%2FYeyJImeCw%3D&reserved=0. "Email Address" would like to share the life celebration of Jewell L. Bailey. Click on the "link" to go to share a favorite memory or leave a condolence message for the family.